These flying foxes sure love durian flowers! When the durian trees are flowering, we keep finding durian pollen in the bat droppings, over and over again, more than any other pollen! So this cultivated tree is obviously an important food resource for the bats…but does this bring them into conflict with people?? And does this mean that flying foxes might actually be helping to pollinate people’s durian trees and helping to produce yummy high-quality durian fruit? 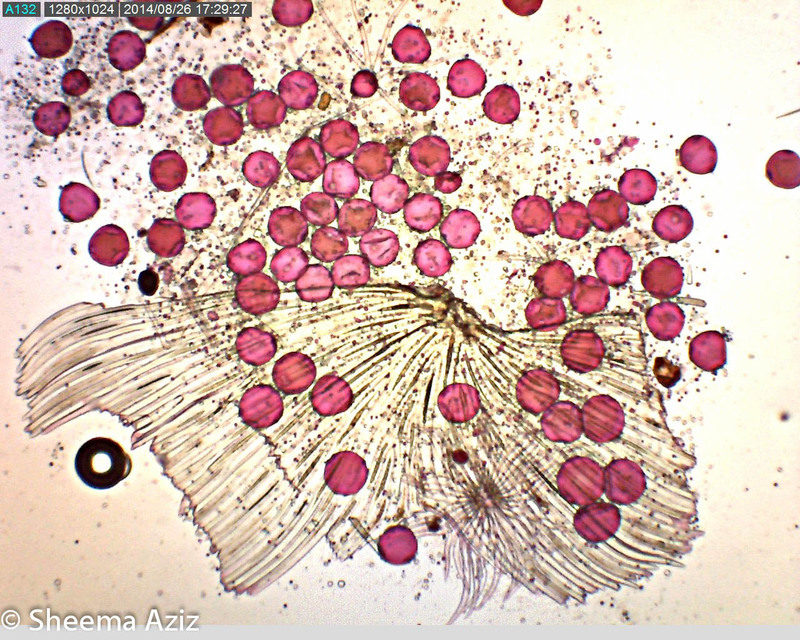 Lots and lots of durian pollen, as seen under a microscope…plus various other flower parts we can’t identify yet! We know that the flying foxes also love mangoes. But apart from that, we’ve also found evidence of rambutan and cashew seeds underneath the roosts. Again, these are all cultivated fruit – so does this mean there is a conflict situation with people who are unhappy about the bats feeding on their fruit trees? The bats do also feed on sea almonds, and of course, lots and lots of wild figs. Are there enough food resources to go around for everyone? 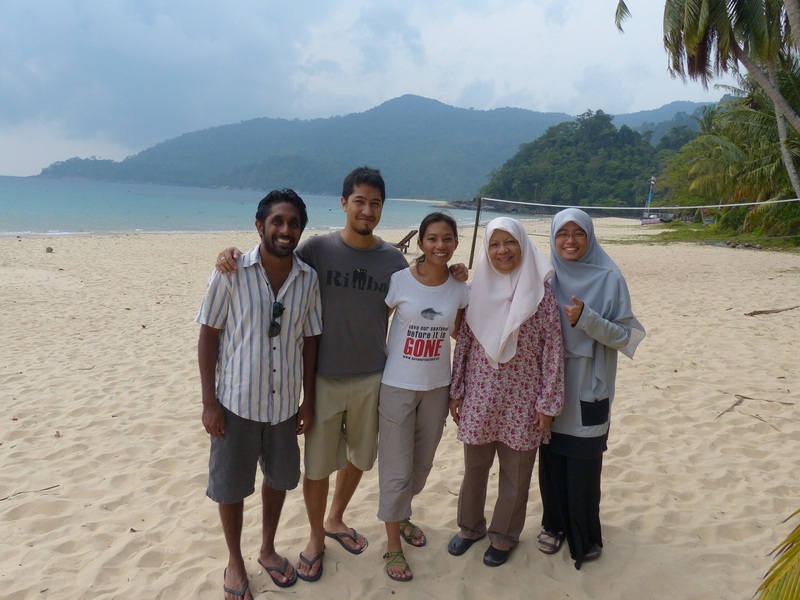 We’ve tried out DNA analysis of bat faeces, through a collaboration with Dr. Yeoh Suat Hui from Universiti Malaya. It certainly does work to some extent…it can pick up on figs in the diet, for sure. But getting the identification down to species level is really tricky, and we’re not sure yet if it can work. Plus, other plants in the diet are only being identified to family level. So this is a work in progress and we are still trying to improve the methods. In the meantime, we’ll be looking at fig seed morphology to try and identify different species. People in the villages aren’t really keen on having to co-exist with the bats. And really, we can’t blame them. Flying foxes make a huge amount of noise, especially in the morning when they return to their roosts. If you’ve ever been woken up at 4am by a natural ‘flying fox alarm clock’, you will understand what it feels like! People also don’t like dealing with the mess of bat droppings, and of course, having fruit stolen from your carefully planted trees is annoying. So no, people aren’t really happy, but that’s also because they’re unaware of how bats are beneficial and important to have around – so is it possible to strike a balance and help manage the conflict at a minimum level? These are some of the questions we hope to start answering through our work. This year, the proper, intensive sampling period finally starts. But we have even less money at the moment, as most of the funding has dried up. So right now Reuben is keeping the project going with his own personal funds. If you’d like to help us out, please consider some financial donations as they are really what we need to continue this project into the long term! 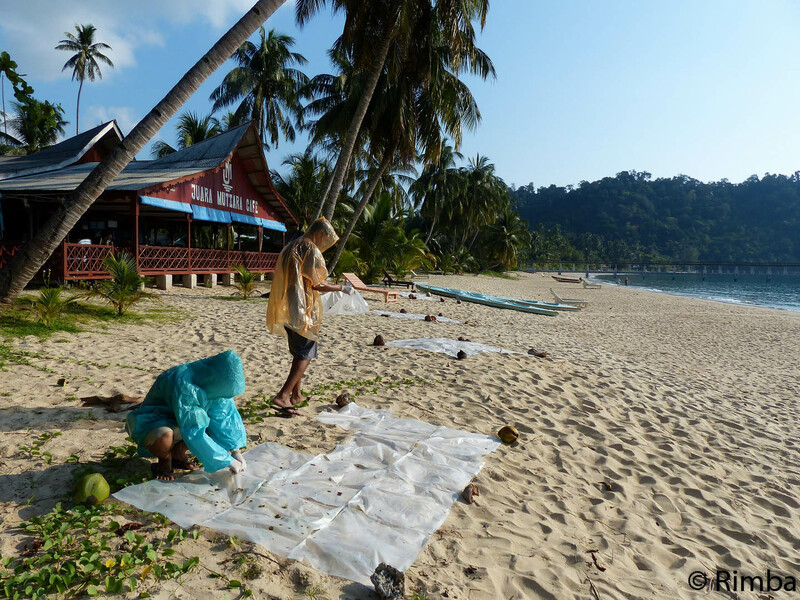 We’ll be sampling from both Kampung Juara and Kampung Tekek – running across the island from one end to the other! 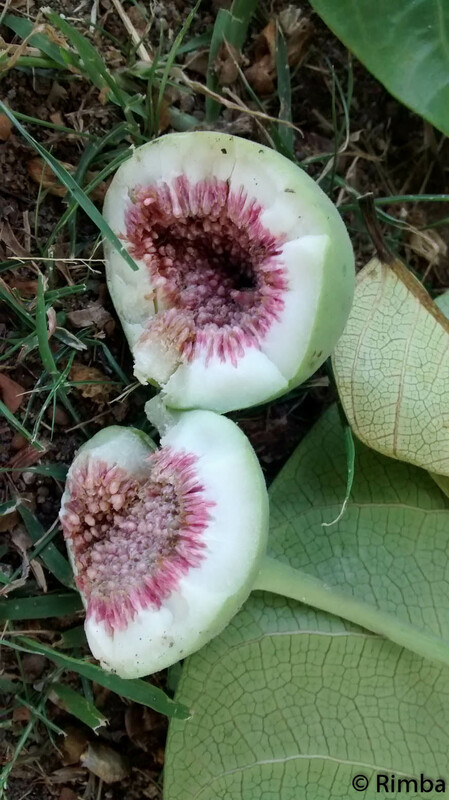 We’ll also be monitoring fig trees and cultivated fruit trees, to see when they flower and fruit, and comparing that resource availability with what diet items we find in the bat droppings. Also, we’ll be investigating the role of flying foxes in the pollination ecology of durian trees, and their role in dispersing figs and large seeds over long distances. So we’ll be doing quite a bit of camera-trapping, tree-climbing, feeding trials and germination experiments! Stay tuned if you’d like to keep up to date with our progress!